Sometimes I heart Trader Joe’s and sometime I do not. This week I was not happy as TJ’s discontinued my kids’ favorite spicy spinach pizzas. These were pizza bread rounds with a spicy cooked spinach on top. They were great to dress up with cheese or wrap around veggies or just toast and eat plain for a quick lunch or snack. Well they’re gone and I’m bitter. 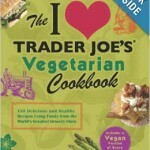 However I do heart their vegetarian cookbook. This is great for quick meals using their products. Everything from breakfast items such as Pineapple Upside Down Pancakes (made quick by using their precut pineapple), to creating hearty dinners including a Classic Pot Pie (using their artisian puff pastry). 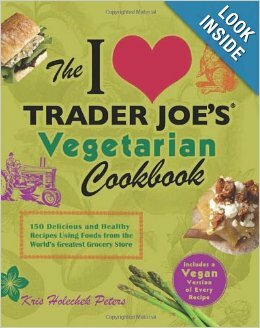 The recipes use Trader Joe’s products as short cuts however you can use your own ingredients just as well. Not only are the ingredients bent towards a plant based vegetarian and vegan items but also are touted as budget conscious. Who doesn’t heart that? 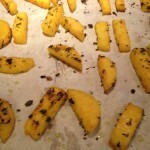 My family’s new favorite side dish is the Herbed Garlic Polenta Fries. Next time I’ll try some different herbs such as sage and rosemary salt. 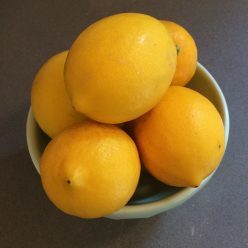 They were good in a quick aioli I whipped up using Veganaise, lemon zest, garlic and olive oil. They could also be dipped in tomato sauce, pesto or catsup. Preheat the oven to 400F and line a baking sheet with parchment paper. 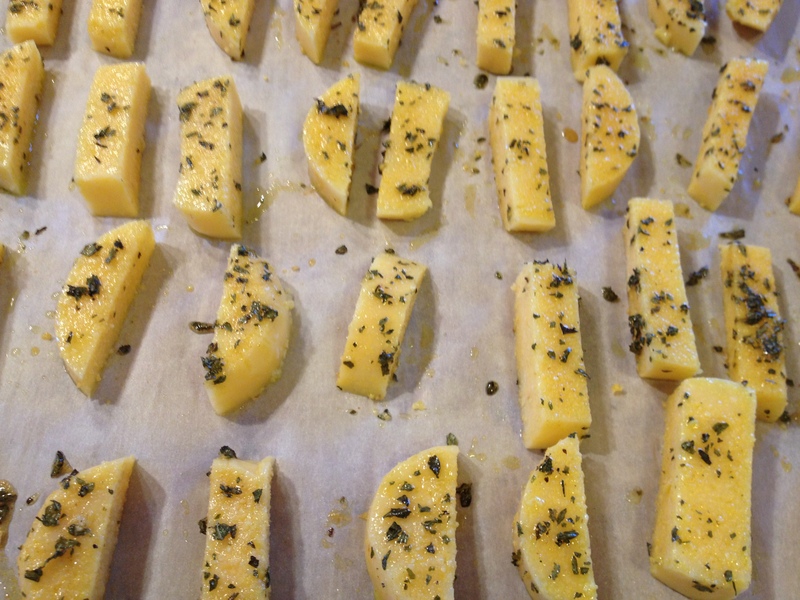 Prepare the polenta slices by cutting into 1/4 inch discs, then strips (about 3 – 4 strips per disc). In a small bowl whisk the olive oil, garlic powder and oregano to combine. 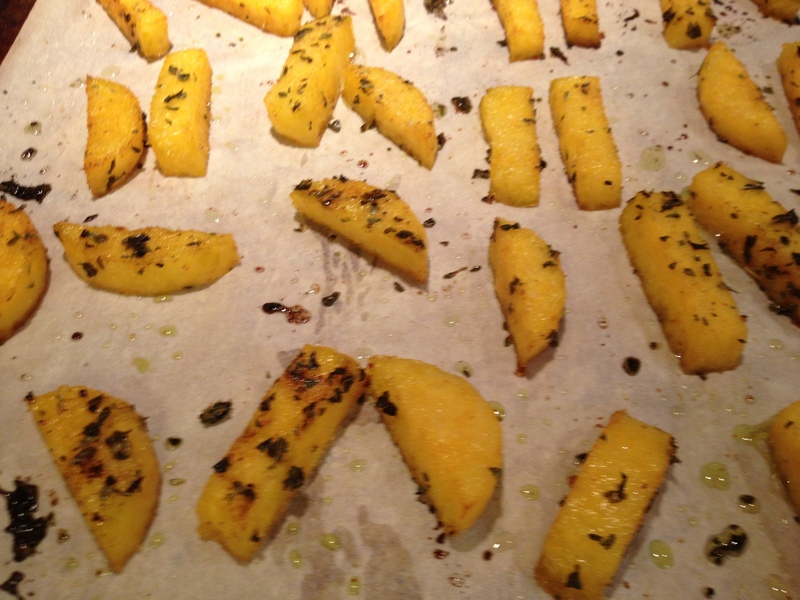 *Gently toss the polenta with the olive oil mixture and spread in an even layer on the prepared pan. Sprinkle with salt. Bake until slightly browned and crispy on the edges, 35 to 40 minutes, flipping halfway through. Serve the fries warm with aioli. 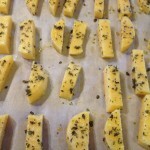 *I found it easier to lay out polenta strips and use a brush to coat the oil and herbs.